Will technology kill the car society? 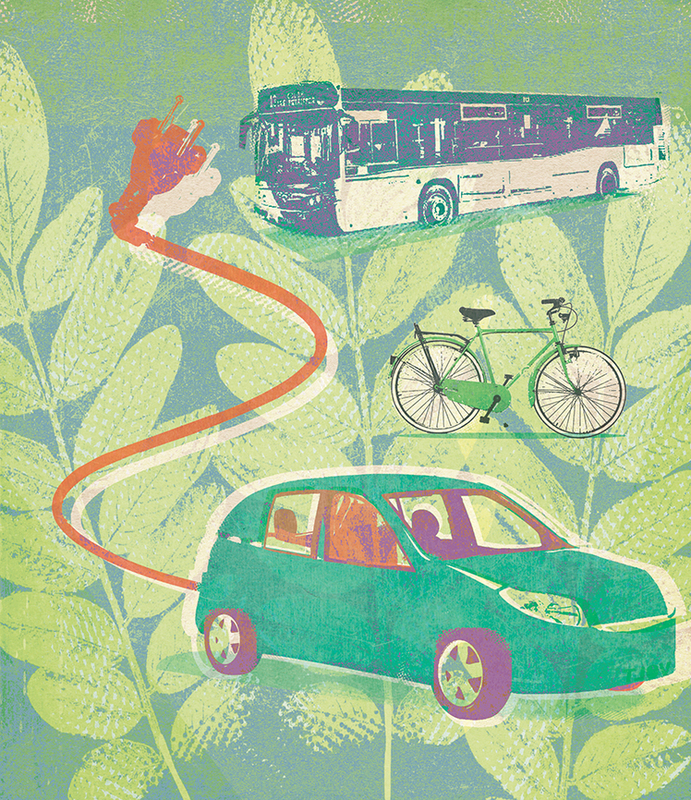 Green European Journal: How do you see the future of transport in Europe, in particular the private car, around which we have built our identity as citizens throughout the 20th century? Karima Delli: The ‘motorcar society’ [essay originally written in French], as André Gorz described it, is coming to an end. The private car is a model from the past. In the face of climate emergency, we are already witnessing the death of the combustion engine in favour of vehicles with low or zero emissions such as electric, gas, or hydrogen. It’s one of the key issues of our time. Car industry bosses, local politicians, national and European decision-makers, we must all anticipate this exciting trend, and lay the groundwork for the society that will emerge from it, in which the car will play a more modest role. A central factor in this revolution is that the number of cars will fall over the coming years. In town, or over longer distances, we will have to privilege alternative means of transport by promoting green options and public transport such as train, tram, or bus to reduce the carbon footprint caused by our movements. The reduction in carbon footprint should be encouraged by the arrival of autonomous vehicles. With the rise of new technology and big data, are we witnessing the end of the privately owned car and what would that mean for Europe’s car industry? The digital revolution is already transforming the way we move. Tomorrow, the car will be shared, but also connected and autonomous. This shift will change behaviour: every citizen will become an agent of their own mobility by ‘zapping’ from one means of transport to another – from bicycle to metro, from metro to a shared car – straight from their smartphone. Take the Finnish start-up, Maas Global, which already lets users pay for all modes of transport with just one ticket. Simply put, we will move from the ‘car as product’ to the ‘car as function’, from ownership to sharing. We will move from the ‘car as product’ to the ‘car as function’, from ownership to sharing. None of this will be without consequences for the car industry and its workforce. The manufacture of electric engines is without a doubt less demanding in terms of workforce than the combustion engine. However, knowing that the car industry continues to generate over 12 million direct and indirect jobs, we can expect its requirements to remain huge. It is now essential to ensure that jobs are redirected towards production of cleaner, durable, and connected cars. I am calling on European governments to talk about this right now because time is short. Is it too late for Europe to catch up with the big American and Asian companies when it comes to the development of so-called ‘intelligent’ cars? Of course we have considerable catching up to do in Europe. In digital technology and the automotive industry, things have accelerated over the past couple of years. When Dieselgate deprived industries of their favourite fuel, they went off in search of a substitute and they quickly found one in digital data. The model is simple. Since they will soon no longer be able to make their money with fossil fuel cars, why not sell the production, commercial exploitation, and exchange of data generated by drivers? With growing numbers of vehicles fitted with intelligent transport systems such as sensors to assist driving and avoid accidents, each journey is an opportunity to produce a considerable amount of digital data. In 90 minutes each autonomous car produces the equivalent in data of 3000 people on the internet in 24 hours. There may well be 1 million autonomous vehicles in circulation in 2022, and who knows how many in 2025 or 2030 once legislation and infrastructure have been adapted. The market will be enormous and could make car manufacturers the new big tech GAFAs, alongside Google, Apple, Facebook, and Amazon. For instance, BMW is already working hand in hand with Intel, which has bought up the car-tech giant, Mobileye. The irony is that these manufacturers, which have for years been further concentrating the industry by buying each other out, are dreaming of joining the GAFAs just when the debate about dismantling of these computer giants is starting to go the way of Standard Oil a century ago in the USA. There is a great risk of seeing the rest of the world selling off their stocks of combustion engines in Europe. But this lag goes well beyond digital technology, it applies to the competitiveness of all aspects of the whole automotive industry. When the EU sets particularly weak targets for reducing polluting emissions, what should we read into that? I detect resignation in the face of international competition. Whilst California is focusing entirely on electric and China is going as far as demanding that 10 per cent of cars produced are electric by 2019, why are we settling for simple incentives for manufacturers? There is a great risk of seeing the rest of the world selling off their stocks of combustion engines in Europe for as long as it’s profitable for them and of our industry rapidly becoming obsolete [read more on Europe’s car industry]. What might be the social consequences of digitally connected vehicles? The consequences are potentially vast yet legislators are still turning a blind eye. As a result, citizens do not realise how far reaching the implications of this phenomenon are. Luckily, more and more of the media are talking about the subject and providing information to the public as we wait for politicians to catch up. Tomorrow’s most important question is who will own the data generated by the vehicle you drive from home to work and back. Is it the manufacturer, the person in the vehicle, or the vehicle itself? For now, only Germany has enacted relevant legislation and only very incompletely. We must be fully aware of what we are talking about. This is not Back to the Future; it is already reality. To give one example: a vehicle equipped with the latest software has sensors under each seat that can calculate the weight of the person sitting there. Let’s say an 11 year-old adolescent weighing 38 kilos is sitting on one of your rear seats. Once the information has been transmitted to your driver assistance system, your vehicle could alert you as you approach motorway services letting you know that your adolescent in the back could eat at the McDonald’s. If you want to disconnect and avoid these intrusive adverts, will it be possible? Similarly, if you own a garage, how can you repair a vehicle if all the data it generates, whether it’s from the mileage, the motor shaft, or from recent journeys, are protected by manufacturer’s property rights and only accessible on payment of a fee like the one we currently pay for Microsoft Office? Entire industries are threatened and no one is talking about it. Are new and booming collaborative practices such economy car-sharing and car-pooling being taken into account by public authorities in Europe? As often happens, society is running ahead of the law. As far as car-sharing and car-pooling are concerned, we could even say that a gaping legal void exists. This void can be seen in the plethora of legal proceedings in Europe against Uber, a company which has rushed into this gap with no concern for the unfair competition its services are creating. In the absence of European legislation each country is trying to legislate in its own way, whilst certain cities have taken the step of banning Uber. In Germany, for instance, it’s possible to take an Uber in Berlin but not in Hamburg – where is the logic in that? It is a return to a feudal Europe where everyone issues their own rules. As often happens, society is running ahead of the law. In the Transport Committee of the European Parliament, we are campaigning for the European Commission introduce legislation clearly distinguishing between platforms which are part of the collaborative economy, aimed at linking citizens together, and ones which provide a transport service and therefore have to conform to service sector obligations. This distinction is essential as it will allow us to regulate these activities whilst preventing social dumping, and at the same time permit innovative new platforms to enter this growth sector. You are behind the first European prize for sustainable transport start-ups, which held its ceremony in Brussels on February 22. What is this initiative and what do you expect from it? Transport is one of our daily concerns as citizens. In Europe, 60 per cent of start-ups are being developed in the area of transport and the number of innovations runs into thousands. I decided to create this prize to bring together Europe’s main private and public European operators to support innovations for sustainable, connected, and shared transport. The fruit of this cooperation, European Startup Prize for mobility, aims to build up a veritable Silicon Valley in Europe, prosperous and dynamic, by meeting the challenge of rapidly accelerating the European transport start-up sector. Our goal is to make Europe the new playing field for start-ups and to trust them to respond to tomorrow’s two key challenges: the fight against climate change and the reconstruction of a ‘Europe of Projects’. I am convinced that the future of European start-ups is here, at home in Europe, not in San Francisco or elsewhere. More than 500 start-ups joined this gathering, bringing to light resolutely innovative businesses addressing real needs from car-sharing, ticketing and managing transport data to more modern, practical wheelchairs. Beyond the prize, Europe must be the driving force behind these new young businesses. This mission is what we’re working on in the European Parliament Transport Committee, as well as with all our public and private partners in the prize, the second of which is already being planned. The Dieselgate scandal and the controversies around Uber show the many social and environmental challenges we face. What role can political ecology play, in the knowledge that a simple critique of modernity is not enough, in the face of the current technological revolution? Dieselgate showed that, even at the heart of the European Parliament, it was possible to build majorities to advance the public interest. Before this affair, the Greens were the only ones raising the problem of public health linked to diesel engine pollution. The scandal, which broke a few weeks before the COP 21 climate summit in Paris, turned out to be a real wake-up call. Since then, the Greens have had allies everywhere because most players in the sector have understood that we have a responsibility towards citizens. Of course, there is the health issue but there is also a democratic problem: the manufacturers cheated, they conned consumers with the ‘benevolent’ collusion of public authorities. They also wrecked an entire manufacturing industry, which is today discredited and within which millions of employees will need to be retrained. If we don’t want our society and territories to be ruled by the car, ecologists must weigh into public debate, and make their voices heard. The central question is therefore very simple: what sort of future do we want for the car industry? In response, the classic ecologist vision, whether anti-car or generally hostile to technology, does not provide all the answers to the challenges we face. If we get to grips with the revolution underway in the car industry, ecology can help to make it less polluting, more accessible, and safer, and in turn make all our transport more sustainable. Our role as green activists finds its purpose in this task: if we want political decision-makers to guarantee the property rights of the data generated by our movements; if we want e-mobility to be not a way back to nuclear but a means to strengthen renewable energy; if we don’t want our society and territories to be ruled by the car, ecologists must weigh into public debate, and make their voices heard. Whether it’s GMOs, pesticides or diesel, public opinion supports us on these issues. It’s also thanks to this hand-in-hand involvement with citizens and NGOs that we will manage to counteract the weight of the lobbies and break through the opacity that too often allows them to manipulate decision-makers. Standard Oil was a US oil company that dominated the world’s oil market, from production to the point of sale, in the late 19th and early 20th centuries. Declared an illegal monopoly by the US Supreme Court, it was broken up in 1911.